On Saturday, September 29 at 10:00 a.m. in St. Paul’s United Methodist Church, members of the Helena Symphony Orchestra open this Season’s Education Concert Series with the first Symphony Kids concert. Created for children ages 5 to 10, Symphony Kids is a free 35-minute concert for audiences of all ages and their and their families. As one of the Symphony’s educational programs, Symphony Kids brings the power of live instrumental music into the hearts of children with specific concerts designed to introduce them to the world of music and instruments. Titled Jack and His Beanstalk, the concert features music from 20th century Russian composer Dimitri Shostakovich and members of the HSO. Complete with costumed actors and narrator, the concert explores the use of moods in music. “Live instrumental music is a wonder to discover,” says Barbara Berg, Symphony Education Coordinator and writer of the Symphony Kids programs. This concerts each offer an important life lesson, and this performance teachers that “we have everything if we have each other,” and the power of unity. 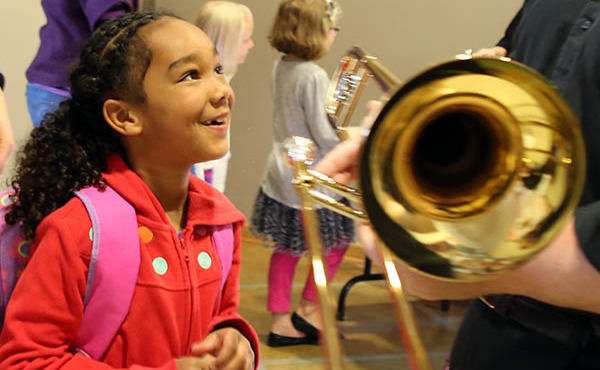 Performed in the more intimate setting of St. Paul’s United Methodist Church, children get to enjoy up-close and personal performances meant to enrich and enhance the music education in the Helena area. Symphony Kids is a 35-minute free concert, and children receive an activity book, and are welcomed to enjoy the Instrument Petting Zoo sponsored by Piccolo’s Music immediately following the concert in the lobby (after most of the concerts). Several hundred families and children attend this free concerts!